The last two years have been such eventful ones for us! If you’re new to Worthing Court, you may not know that we bought a very outdated twenty year old home and have spent the last two years making it ours. The first year we owned the house was spent mainly on the major remodeling projects – complete gut jobs in the kitchen, laundry room and master bath, new/refinished floors throughout the entire house, wallpaper removal, painting the entire interior, a new deck, new lighting and on and on and on. Talking about all that work makes me just plain tired, so it does myself good to take a look at some of the fun projects that we finished in 2016! Take a look at our top five most popular diy projects that we completed last year. Just click on the post title to be taken directly to the post. I hope you’ll find some inspiration! These are just a few of the many diy projects that we worked on in 2016. I already have a whole calendar of projects planned for 2017 that I can’t wait to tackle! Click HERE if you’d like to see more of the diy projects that we’ve completed in this house. Awesome projects. Looking forward to 2017. Happy New Year! 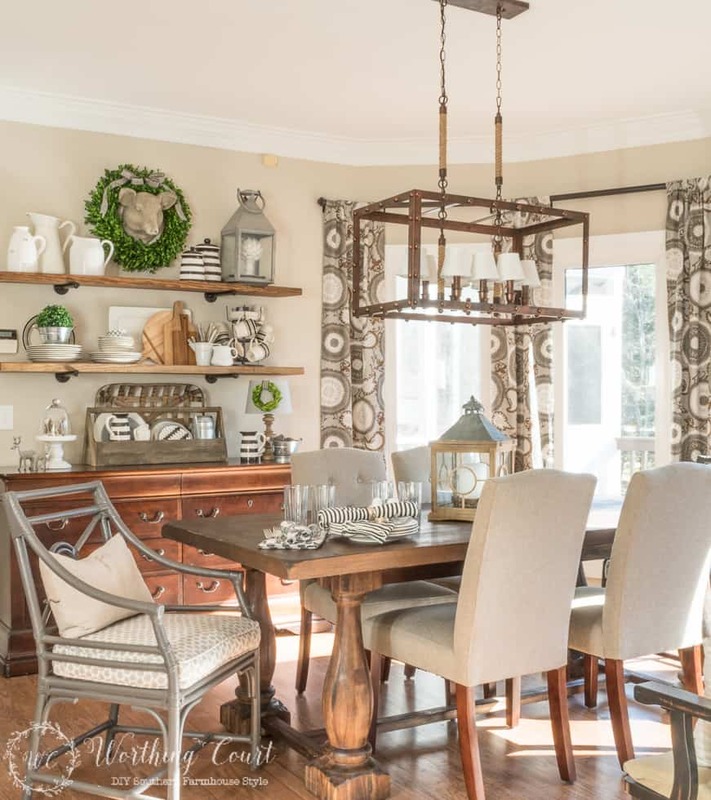 Love all your projects but believe those rattan chairs and the rustic shelves in your kitchen makeover are my favorite! I like the ladder project. Must pin this post for inspiration. Happy new year and looking forward to the projects of 2017. Beautiful projects. I wish we were as handy in the DIY department. Oh well, it will just take longer for us to complete our projects with more money needed in the budget to complete the wish list. Enjoy your posts and your home is beautiful! You provide so much inspiration. Thank you. I love the bookcase and marvel at your creativity. Your house looks amazing, and you should be proud of all your hard work! What a beautiful home you have. I love all your projects especially the book case. Thank you for sharing all of your wonderful ideas. And Happy New Year! The bookcase makeover is my favorite! What great fun little projects! Love the round up – we are knee deep in a tummy virus right now, but when I’ve got a spare moment I’ll be back! Thank you for making it easy! Thanks for the ladder tutorial. I’m gonna try this! I love your decorating style! I am trying to make over my 23 year old home as well! I’m ready for some new changes! Happy New 2017!! 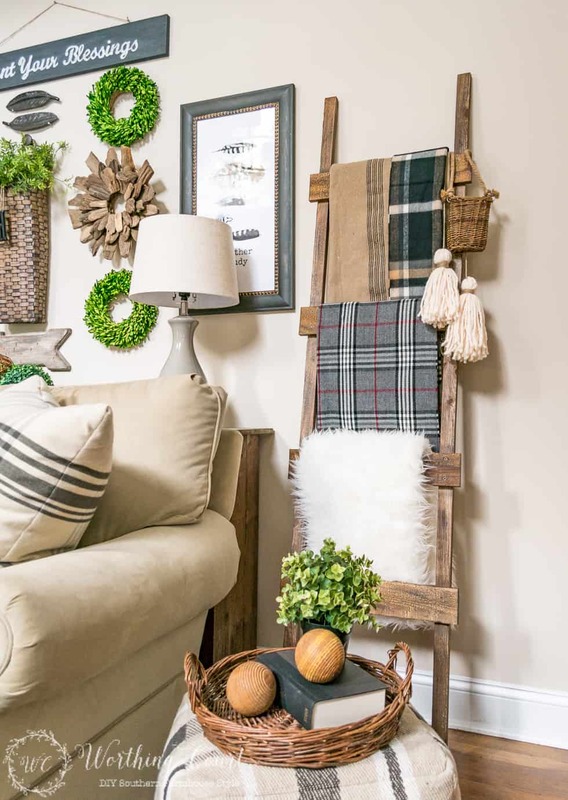 I just love the textures you incorporated from rustic ladders, woven baskets to shutters. I’m also glad to see you have a creamy colored walls, while most people keep things white. It makes me think of sterilized instead of a warmer feeling. 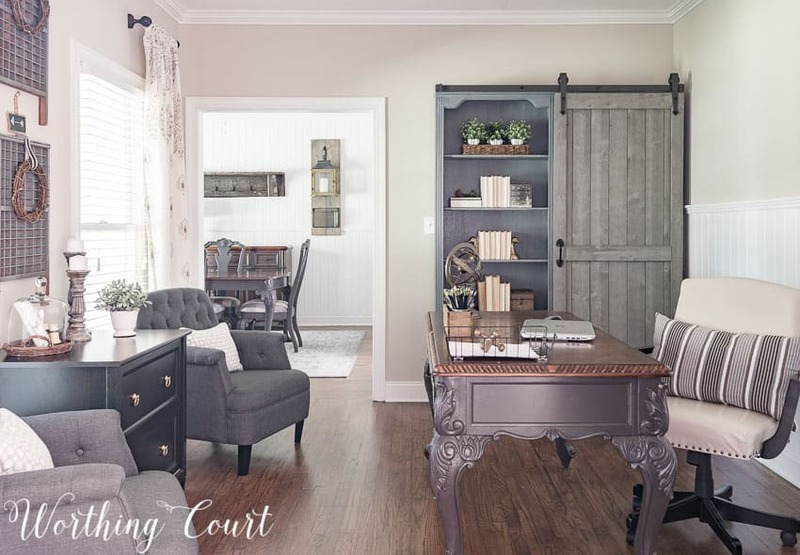 I really love the grey furniture and your bookcase makeover…cute! You are such an inspiration, thanks for sharing! 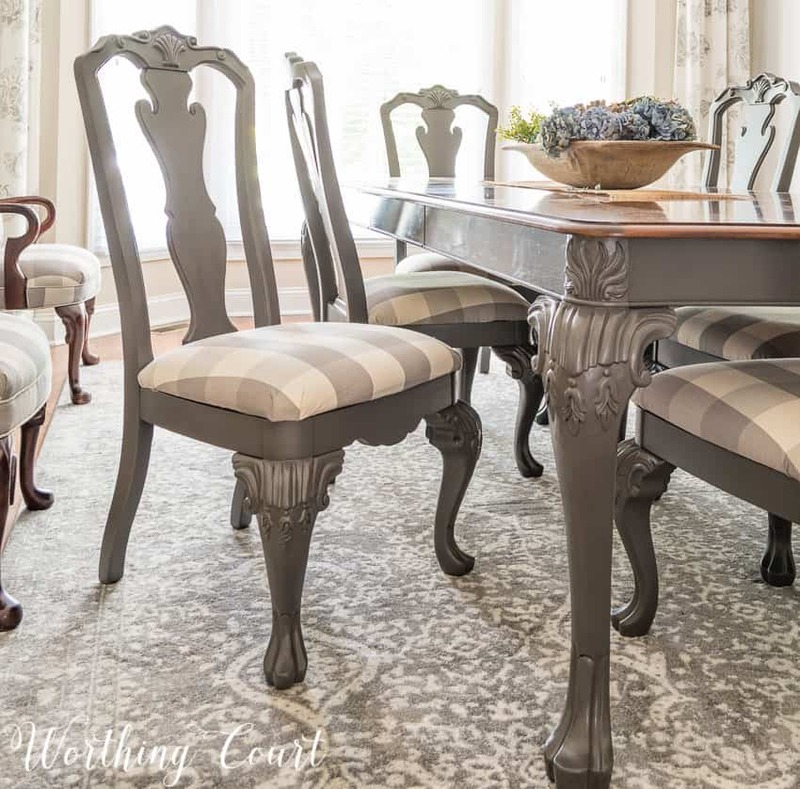 Your dining room table and chairs are stunning! Some great posts! Thanks so much! Very cute! I love all your projects, they are beautiful! Thanks for sharing on Monday Funday! I love your style! Beautiful and cozy. gorgeous projects! My favorite is definitely the bookcase makeover – happy new year to you! Suzy what a beautiful collection of posts! So much inspiration. I think I definitely need some shelves in my dining room! 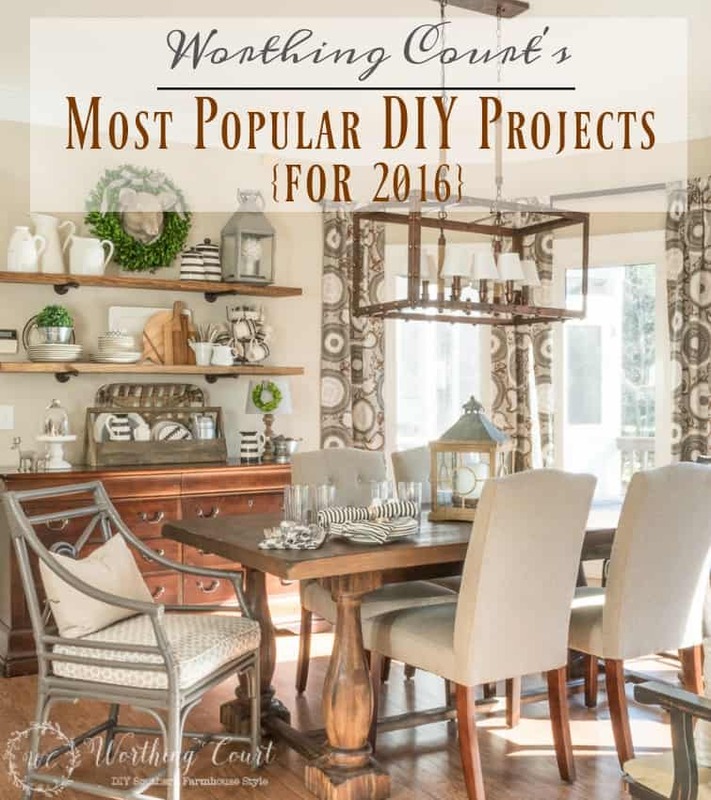 So many fabulous projects and I can see why they are the most popular. Your projects are on the Merry Monday Pinterest board. Thanks for sharing with us to inspire others. You do have some fabulous posts. I love see your beautiful home. Thank you for sharing at Dishing it and Digging it link party. I was thrilled to have the DIY directions for the tree boxes by your front door. I have looked to buy some online, so this was a gift of a solution.I will use the pallets left over from some recent construction at our house. Gorgeous home! Thank you for sharing it with us at Funtastic Friday! If cozy is what you tried to achieve all year, you absolutely nailed it!! My two favorite projects that you did are the blanket ladder (which I’m determined to do!!) and your skinny behind the sofa table~what an awesome use of space! Please keep doing what you do because you do it so well!! 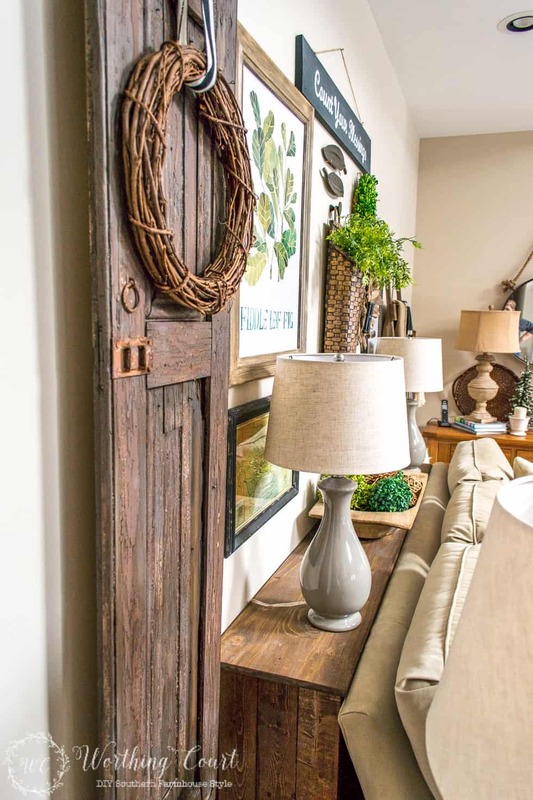 Beautiful home decor – and love your DIY’s. Enjoy opening all of your emails. Happy New Year!